The fastest issuance time to quickly enable encrypted connections to your web server. SSL123 offers a clickable thawte security seal. Buy thawte SSL 123 Here! Stands for Domain Validated. 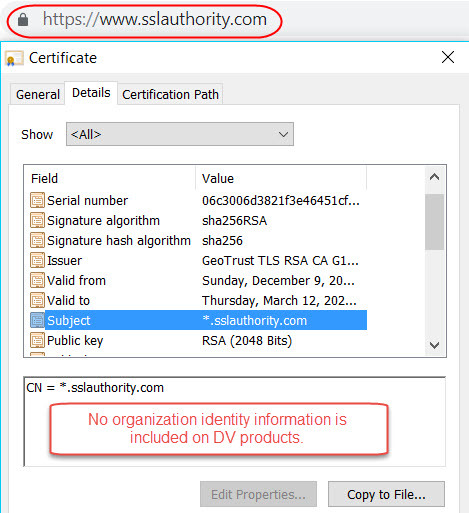 Recommended For internal systems, development/testing environments or non ecommerce sites: A Domain Validated certificate is considered an entry-level SSL certificate and can be issued quickly as the only verification needed is to ensure that the applicant owns the domain (website address) where they plan to use the certificate.